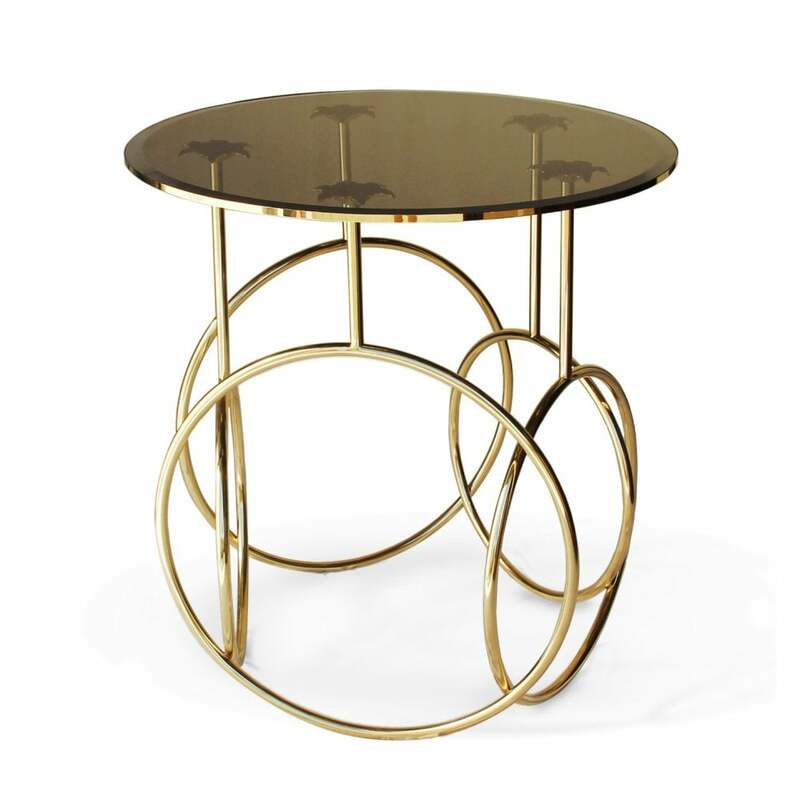 The KIKI side table evokes the romantic and seductive beauty of Parisian cabaret life. The revealing frilled undergarments, the surprise high kicks, hoops in a circle accompanied by blinding splendour give this table a sassy new spin on design. Polished hoops with delicate iris’ as tips support a glass top embraced by a polished brass frame. Top: Bronze, smoked or clear glass. Base: Polished brass or stainless steel.